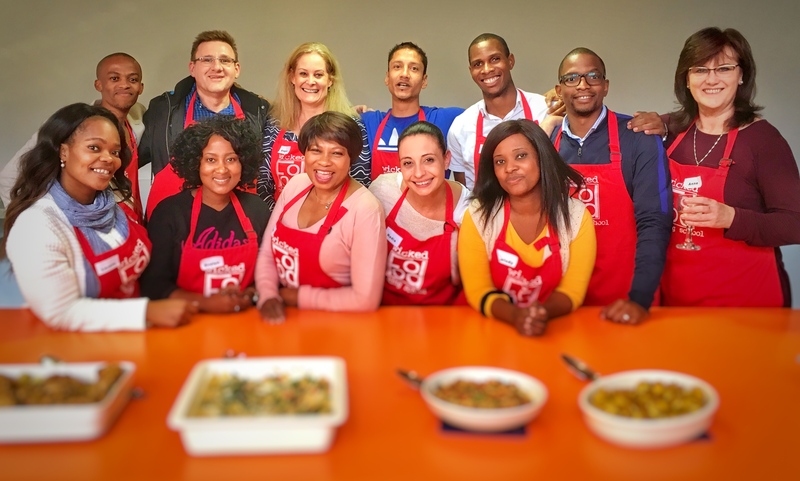 Wickedfood Cooking School in Johannesburg recently spent the day with members of Academic Partnership. The day started with a mini slide show followed by a question and answer opportunity for the members. Once the serious stuff was done we moved to the entertainment and team building segment of the day. The cooks all got their hands dirty as they got involved cooking a 3-course meal which consisted of 6 dishes. The menu theme of the day was a Gordon Ramsay inspired menu. Although there wasn’t much swearing there was a lot of good food on offer as everyone gave their best cooking an amazing meal. Wickedfood cooking school in Sunninghill, Sandton also offers cooking classes to non-cooks. These cooking classes are aimed at hobby cooks wanting to learn more about a specific cuisine or cooking skill. These cooking classes are not aimed at cooks wanting to become chefs as these cooking classes as once-off cooking lessons. The cooking classes are scheduled to run every Monday evening at 6pm. These cooking classes are a great way to spend an evening with a partner or even coming on ones own to meet like-minded people who all have a thirst for cooking tips and tricks.